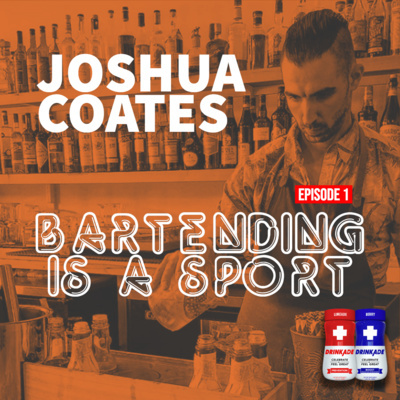 Each episode we will chronicle through the stories of a different bartender. 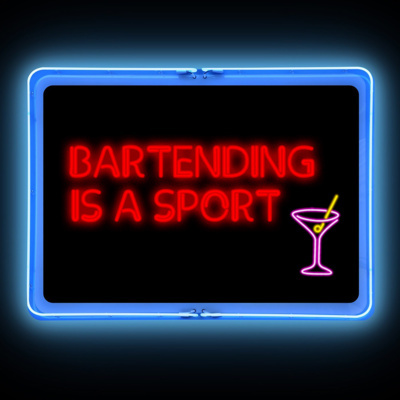 We’ll hear how they got their start mixing drinks, the secrets of their craft, and about the crazy things patrons do. If you’ve ever secretly wanted to own a bar or be on the other side of the bar mixing the cocktails this is your show. We’ll have fun, broaden our drink horizons, and help prevent that hangover while we're at it. Sponsor: DrinkAde, the best way to celebrate tonight and feel great tomorrow. *Save 25%* off your first order at bit.ly/DrinkAdeStore with promo code "BARTENDER" 🍻. Justin is an amateur bar tender and a expert mixologist. Mixology is something he spends a lot of time doing on the side. He is a web developer from Phoenix, AZ and a handful of years ago he began dabbling in mixing cocktails then started an Instagram account that has developed a pretty nice following. Sponsor: DrinkAde, the best way to celebrate tonight and feel great tomorrow. Save 25% off your first order at bit.ly/DrinkAdeStore with promo code "BARTENDER" 🍻.